Fanny has a new owner. I will send specific info and the story behind it later! I wanted to introduce myself and let you know that I am the new and very proud owner of Hull #107. I purchased Fanny, (formerly Kiwi) from Deb and Greg Davis in Somers Montana. She is now back on the west coast in southern Oregon. Thanks for providing a place for dolphin lovers to learn about there history, share stories and exchange information. Thanks for checking! Fanny is still available. She is on the trailer and ready for her new owner! We will accept any reasonable offer. A great boat for someone. June 2, 2013 - Craigslist ad updated http://kalispell.craigslist.org/boa/3844469666.html Listing expired. Our Fanny is covered and trailered on land for the winter. We are hoping there is a person out there who would buy her and enjoy getting her ready for another sailing season. 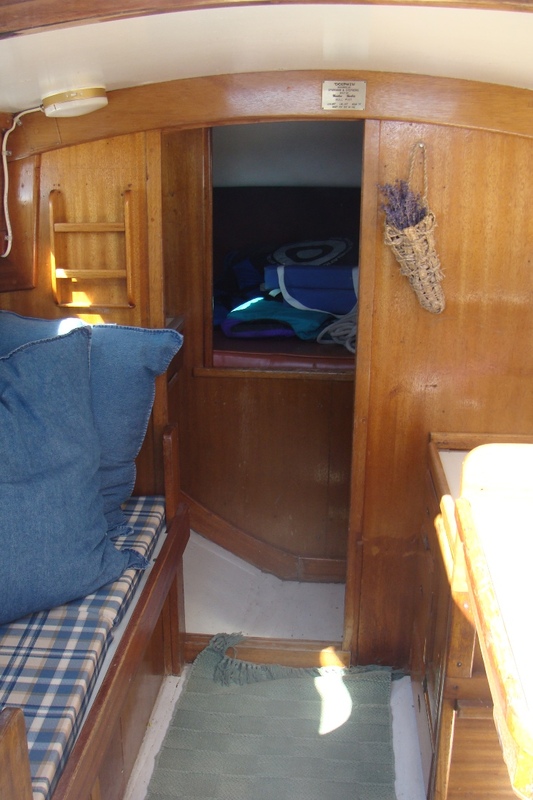 We have reduced the price to $6,000, which includes the trailer, motor, sails, etc. If you know of anyone who wants a great sailboat, please let us know! Includes 3 sails, cushions, etc. November 5, 2010. We have found Kiwi, a Yankee that sailed to the South Pacific! Deb Davis sent in an email reserving a Dolphin 24 website book, and indicating she lived in Missoula, Montana. The DFI hairs bristled on the back of your webmaster's neck. In a follow up email Deb told us she and her husband had #107 and kept her on Flathead Lake. We know about #107 - she was Charlie Nogle's Kiwi and he sailed her from San Francisco to Tahiti, Bora Bora, the Marquesas, and Hawaii. 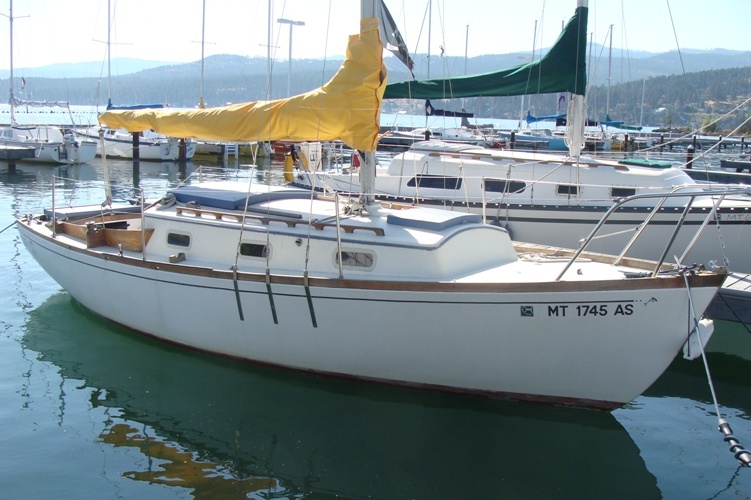 We had also found a 2000 email to Jim Huxford's old Dolphin 24 website from someone who was looking at a Dolphin 24, hull #107, on Flathead Lake! Until now, she was missing. Click here to go to Kiwi's page. Fanny is our 167th found Dolphin - click here to go to the list. Kiwi is not the only Dolphin on Flathead Lake - #98 has just arrived! Warren Levine, the former owner of #98 told us that the buyer of his boat took it to Montana, and had previously owned a Dolphin. Click here to go to #98. We have Hull #107 and her name is Fanny. We bought her a few years ago from the couple who just bought Hull #98. They regretted selling Fanny and liked the Dolphin so much they just bought another one. We bought Hull # 107 in December, 1998 from a brokerage in the Bay Area (SF Bay) and trailored Delphino (?) to Somers, MT on one of the coldest days of that winter. I am sure she was wondering "what on earth is all this white stuff on the ground!" 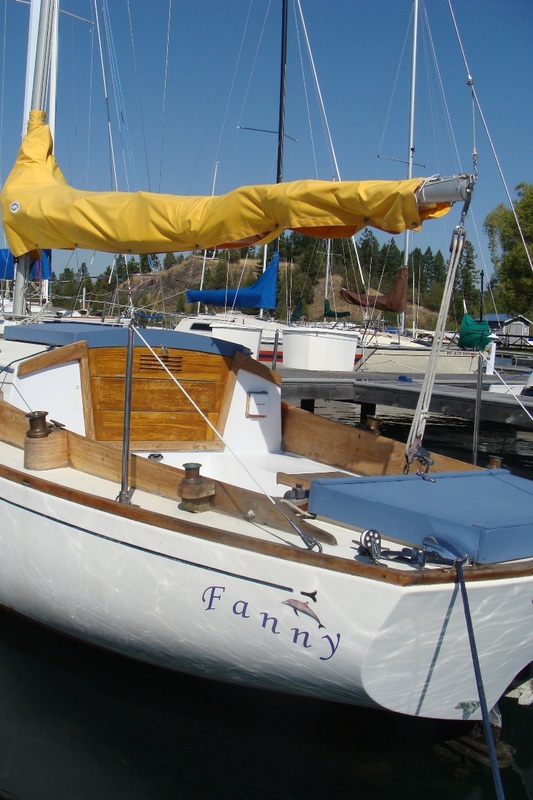 We renamed her Fanny after Don's mom and she got the hang of being sailed on our beautiful freshwater Flathead Lake. We were quite pleased when Deb and Greg bought her and planned to keep her right there. Note the Dolphin - nice!